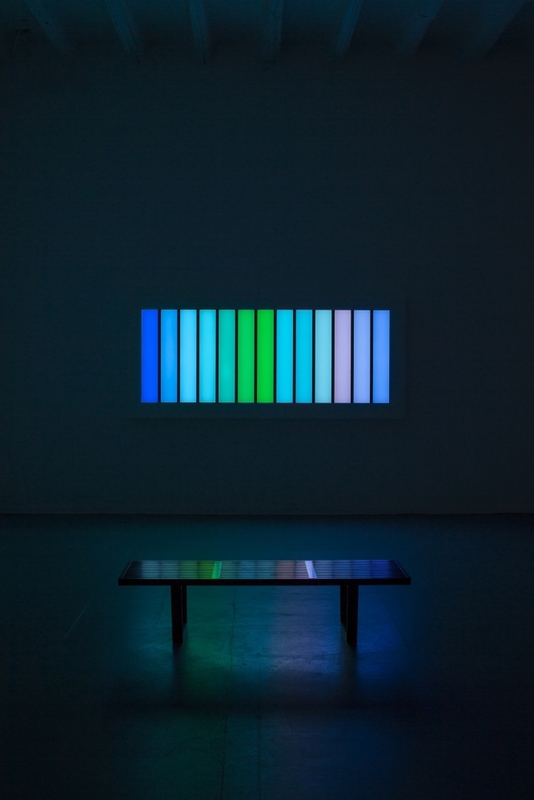 LEO VILLAREAL, Coded Spectrum, 2012, Installation view: CONNERSMITH. Founded in 1999 by directors Leigh Conner and Dr. Jamie Smith, CONNERSMITH specializes in Contemporary and Post-War Art. The Gallery is centrally located in the Logan Circle/Shaw neighborhood of Washington, DC within blocks of the world’s largest museum, gallery and research complex, the Smithsonian Institution. Predicated upon discovery, curatorial vision, and art historical exhibition programming, CONNERSMITH's stability spans two decades. The Gallery maintains long-term representation of internationally influential artists. Presenting works in diverse media, CONNERSMITH promotes art that contributes to important art-historical movements, with particular focuses on innovations in color-field abstraction, figural realism, and current discourses on race, gender and social justice. The Gallery advances the careers of contemporary artists and extends the legacies of notable fine art estates. CONNERSMITH presents international art fair expositions as well as curated Gallery exhibitions with supplemental published materials. CONNERSMITH supports the participation of Gallery artists in museum exhibitions, biennials and other international venues, including but not limited to: National Gallery of Art, Washington, DC; Tate Britain, London; New Museum, New York; Whitney Museum of Art, New York; Hirshhorn Museum and Sculpture Garden, Washington, DC; Guggenheim Museum of Art, New York; Phillips Collection, Washington, DC; National Portrait Gallery, Washington, DC; Los Angeles Museum of Contemporary Art, Los Angeles; Tampa Museum of Art, Tampa; Baltimore Museum of Art, Baltimore; Birmingham Museum of Art, Birmingham; In Flanders Fields Museum, Ypres; Blaffer Art Museum, Houston; Mint Museum, Charlotte; National Taiwan Museum of Fine Arts, Taichung City; Musée d'art contemporain de Montréal, Montreal; Irish Museum of Modern Art, Dublin; MIT List Visual Arts Center, Cambridge; American University Art Museum, Washington, DC; Wadsworth Museum of Art, Hartford; Haifa Museum of Art, Haifa; Passagen Linköpings Konsthall, Linköping; Museo D’Arte Contemporanea Roma, Rome, Italy; La Biennale di Venezia, Venice, Italy.